"Our print volume has grown at least 20 times since we have been using XMPie." US Print Service Provider, one of XMPie’s earliest customers, grows print volume and builds integrated marketing powerhouse offering all multichannel touchpoints including print, email and web. Headquartered in Grand Island, NY, Compu-Mail is a direct marketing and communication company specializing in the architect and manufacture of one-to-one communication programs including Large Volume Direct Mail Production, Email, Data Analytics and Fully Variable Communication. Compu-Mail knows that customers respond better when they receive personalized messages at the right time to their preferred media channel. It offers its data expertise and serves its clients by helping them to speak to their customers rather than talk at them. In every project it demonstrates this business ethos and supports its clients with all their data-driven marketing needs. Compu-Mail was one of the very early adopters of XMPie personalization technology in 2004, after it sought out a new solution that could better handle its color workflow. Its former solution didn’t match specific colors well, couldn’t handle the color assets and didn’t have the necessary power to push the color pieces out to print.  In 2004, Compu-Mail first purchased XMPie’s desktop VDP product – uDirect.This a plug-in to Adobe InDesign that enables the user to creatively blend design, data and logic using an intuitive drag and drop interface directly within the InDesign environment. Unlike its previous solution, with uDirect Compu-Mail could easily produce data-driven print pieces that were creatively advanced. This meant that Compu-Mail could get up and running with its new service faster and manage its color workflow better. In 2009, after one of its bigger clients kept increasing its print volume requirements, Compu-Mail upgraded from the desktop version to PersonalEffect Print Pro. This solution took its business to the next level because PersonalEffect works in a server environment. It was ideal for handling Compu-Mail’s client’s high print volume requirements and enabled it to offer this service to other clients with high volume data needs. Along with stronger data-handling capabilities, this meant that Compu-Mail could centralize its print production jobs with output to multiple presses. Compu-Mail no longer needed to process its jobs locally on its desktops. It could now scale-up its business to offer high volume print production with an automated operation for processing the jobs. 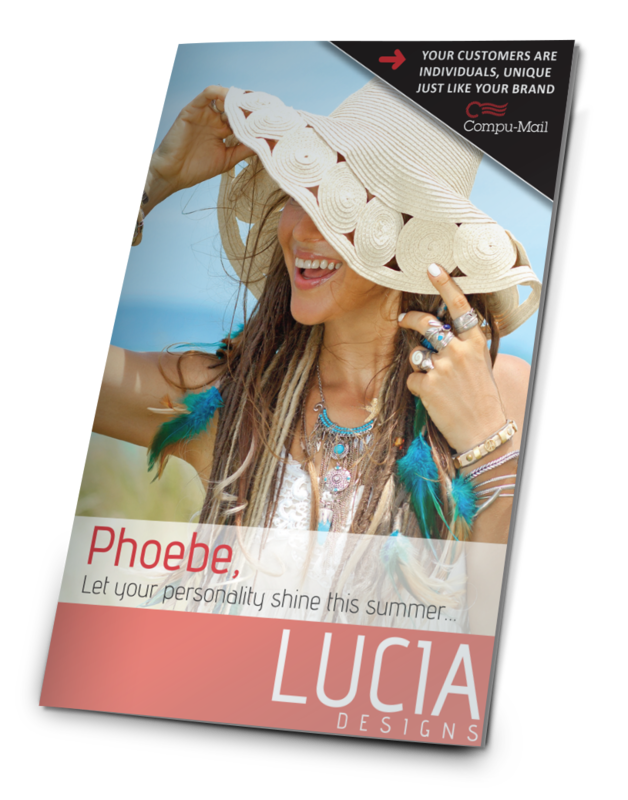 Upscaling to PersonalEffect was an easy process because it could keep all the same templates and creative elements. The PersonalEffect server became used as a centralized collaborative hub where multiple clients’ documents could be stored and managed, and desktops were freed up to be more productive and design-centric. This meant a more collaborative workflow and team members (such as designers, data specialists, print production managers) could work more efficiently on projects to get them out faster. In 2012, Compu-Mail wanted to expand its offerings to include digital marketing channels as well as print. 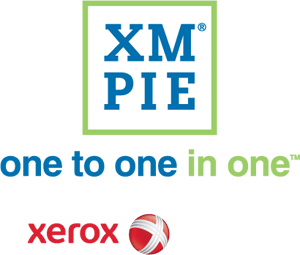 By adding PersonalEffect TransMedia Pro, XMPie’s multichannel Customer Communication Management (CCM) solution, Compu-Mail was able to protect its investment in XMPie software, and easily add digital marketing to its war chest. As when it upgraded from uDirect to PersonalEffect Print in 2009, upscaling to PersonalEffect TransMedia was a straightforward process, and it could still rely on the expertise it already had with the XMPie workflow and use the same methods of working with data and logic to serve both the print and the digital touchpoints. "The integration into email was a natural addon service for our client base. When we first started offering email services, it was 100% outsourced… [But] over the past five years we have migrated most email programs to XMPie Email services for the simplicity of having one campaign for print and email, database connectivity, and the scheduling automation in Circle." Because Compu-Mail’s print volumes were growing so much by this point, it needed to increase its print capacity. Consequently in 2017, Compu-Mail invested in two new Xerox Rialto Inkjet Presses. High volume Variable Data Printing is perfect for modern production inkjet presses like the Rialto which can push these personalized jobs out fast and efficiently. Inkjet presses also offer high quality color printing which is ideal for the premium personalized output that Compu-Mail were producing with XMPie software. With its new inkjet, there was no need to change any of the technology that was driving the workflow. XMPie software is scalable to match the needs of each business and by using PersonalEffect as the overall production hub for its marketing communications, Compu-Mail could seamlessly add new hardware into the mix. In 2017, Compu-Mail also added additional hardware to complement its existing equipment Canon i300, Xeikon 9800, two Xerox iGen 150’s, two Xerox 180’s, three Konica Minolta 1250s and an Oki Procolor 900DP - all compatible with XMPie software. Over the years as Compu-Mail moved from a desktop workstation to a server environment with full cross media capabilities, it was able to protect its XMPie investment as its business expanded. Today Compu-Mail excels in delivering top-of-the-industry data-driven multichannel marketing solutions for a broad range of clients across multiple verticals including consumer, insurance, real estate, retail and more. Compu-Mail are boosting the growth of a long-term telecommunications client with volumes of over five million print records per month. 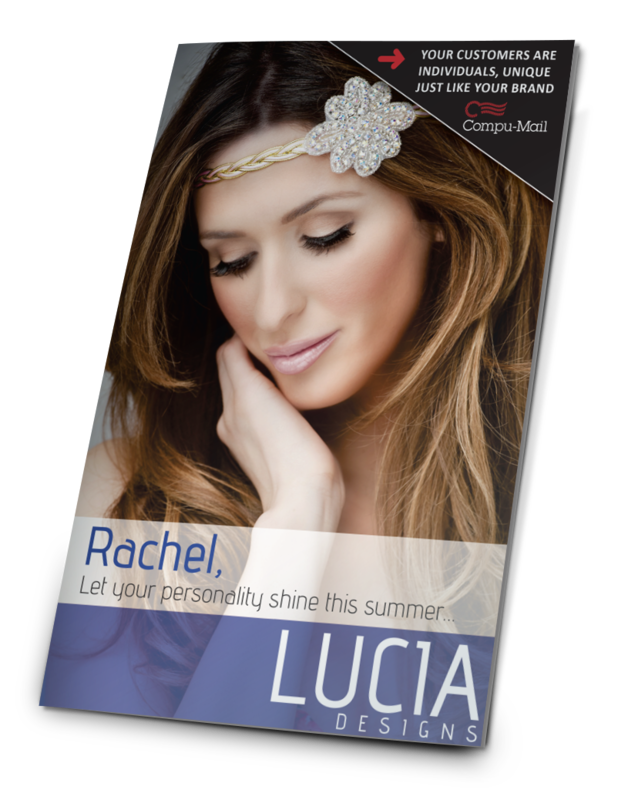 Each month different personalized and customized print campaigns are launched including campaigns to prospects, lost customers and current customers using different print pieces such as self-mailers, postcards and oversized pieces. Managing long-term multichannel trigger programs for a large client in the automotive car care industry to encourage deeper member engagement. Programs include email campaigns (over five million emails sent per month), print campaigns, retention programs and instore display materials. In one notable campaign, Compu- Mail created 19 versions of an email which was sent to three million recipients in just a couple of hours. Compu-Mail’s previous system had taken over five days to complete a similar task. 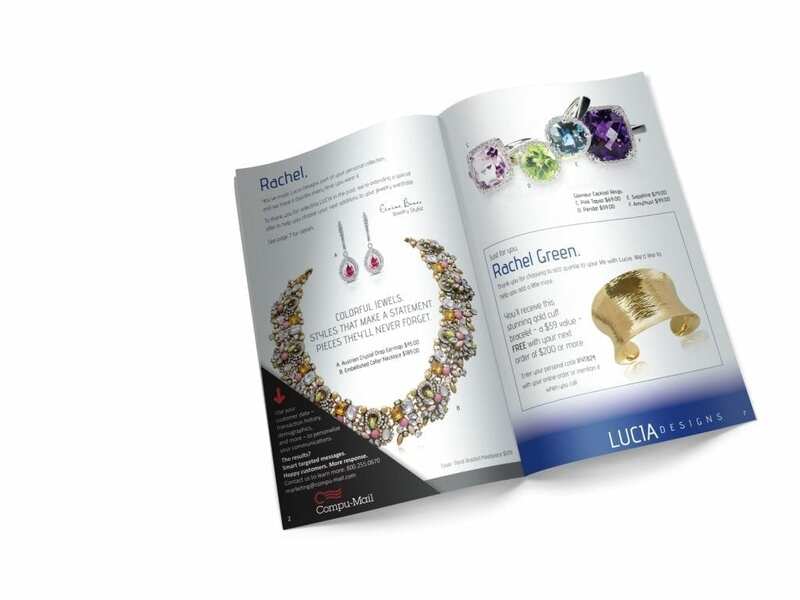 Managing over 80 monthly marketing programs for a major retailer using integrated variable Direct Mail and email campaigns. Compu-Mail reviewed its client’s existing databases to identify potential new customers, re-established relationships with former customers, and found cross-sell and up-sell opportunities to re-engage lost customers. "With the XMPie email service we had astonishing results. Because of the enhancements that XMPie has made on the cloud with its recent email service upgrade, the speeds are incredibly fast. Now we can send huge email campaigns in a couple of hours. Previous deployments had taken days." Print: Compu-Mail estimates that its print volume has grown at least 20 times since it began to use XMPie software. Email: Compu-Mail has been deploying emails with the XMPie Email Service since 2012. The combination of variable capabilities has greatly reduced the number of creative templates needed for client campaigns. For example, in the past, one weekly campaign would need 145 different templates whereas with XMPie Compu- Mail can use one template and all the assets are pulled in with the logic/data. Using Circle automation, the email deployments are scheduled, weekly and monthly based on campaign requirements. Most recently with the enhancements to the XMPie Email Services, large volume (with millions of emails) campaigns that used to deploy over days, now deploy within hours. Compu-Mail currently holds SSAE 16 SOC 2 – Type 2 and SOC 3 certification and is classified as a USPS Full-Service Mail Service Provider with Mail Anywhere status through the United States Postal Service. The company serves clients across a variety of industries with its complete suite of print and marketing solutions. Large regional and national retailers alike partner with Compu-Mail to leverage variable data printing to maximize their customer data. Compu-Mail has grown from a data services provider to a secured full service 1:1 direct marketing company specializing in direct mail, digital retargeting, commercial print production, email, and push text messaging. Compu-Mail recently acquired full ownership of subsidiary company Dual Print & Mail. The combined strengths of the two organizations’ data-driven direct marketing services and extensive printing and bindery capabilities make Compu-Mail one of the largest single source print and mail resources in the northeastern United States. Ease of use. Whereas other products are developed with the programmers in mind, XMPie’s creative tool, uCreate is much easier for designers to use because it is a plugin to the industry-leading desktop publishing program – Adobe InDesign. XMPie software is always adding new functionality as Adobe releases new features and versions. Power of the core document composition engine (PersonalEffect) – This allows for a more centralized workflow and high production capability. Compu-Mail now has a great way to manage workflow throughout the business. All Compu-Mail’s different teams across Data, Design and Imaging Operations can access and navigate the server. Scalable Product Line – Users can start anywhere, add power and functionality as the business grows. Managing Cross Media touchpoints with same technology as Print touchpoints. In the past Compu-Mail outsourced its email requirements and brought tools in-house in 2008. When it added email capabilities directly from XMPie in 2012 it could directly manage its Cross Media capabilities together with print right in the server. Because the same data and logic is used for both print and email it was easy to add email capabilities to the mix. It was also much more efficient than having a separate cloud-based server from another provider and includes built-in marketing analytics functionality. XMPie listens to feedback from its customers. Because XMPie updates its software based on the needs and feedback of its customers, the software stays relevant and continues to solve the business challenges of its clients. Active XMPie Users Group. Compu-Mail has attended every XMPie Users Group Conference since it purchased the software. The benefit of sharing its experiences and learning from other companies that use XMPie software helps Compu-Mail to keep best practices up and continue to develop advanced VDP and multichannel campaigns. Want to grow your business with the XMPie Platform? Get in touch using the form below!